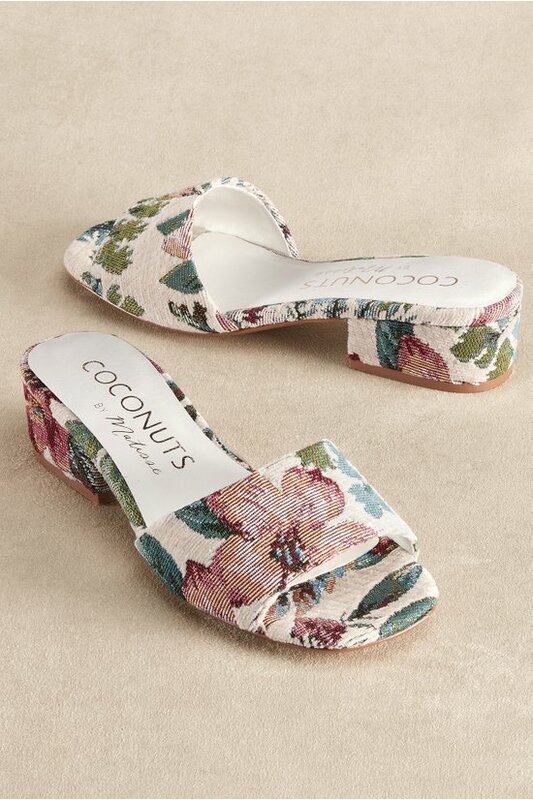 Whether you choose rich floral brocade or shimmering serpentine embossed leather, these slides speak luxury. Covered heels and toe areas add proper finish and the padded footbed means day-into-night comfort. Ivory floral, black floral, rose gold. 1-1/2" heel.